A general cleaner that can be used to clean virtually any surface. Removes light grease, oils, dirt, food stains etc. Evaporates quickly and leaves surface squeaky clean. 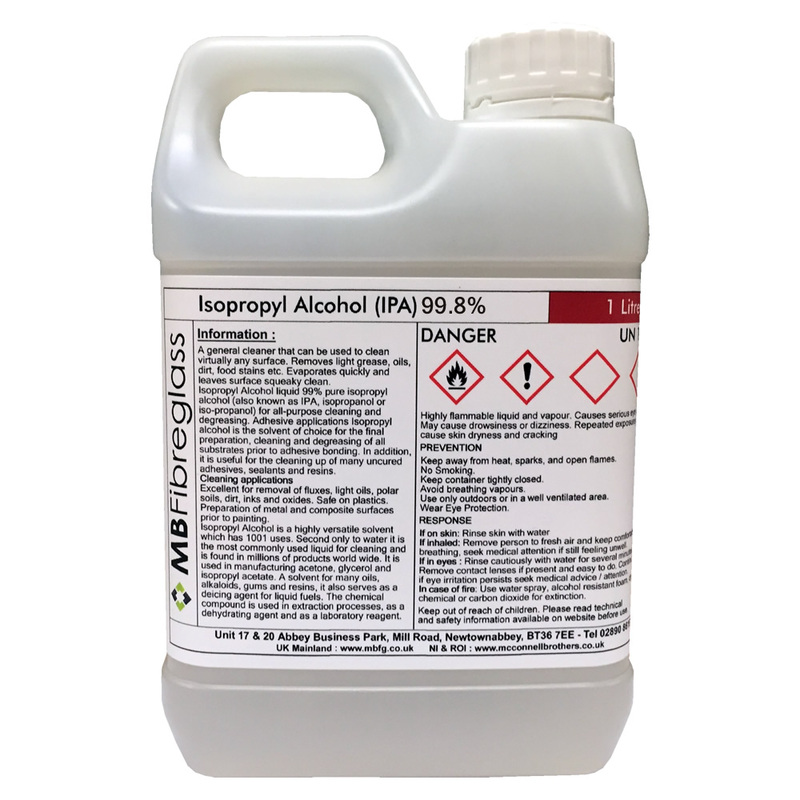 Isopropyl Alcohol liquid 99% pure isopropyl alcohol (also known as IPA, isopropanol or iso-propanol) for all-purpose cleaning and degreasing. Adhesive applications Isopropyl alcohol is the solvent of choice for the final preparation, cleaning and degreasing of all substrates prior to adhesive bonding. In addition, it is useful for the cleaning up of many uncured adhesives, sealants and resins. Excellent for removal of fluxes, light oils, polar soils, dirt, inks and oxides. Safe on plastics. Preparation of metal and composite surfaces prior to painting. 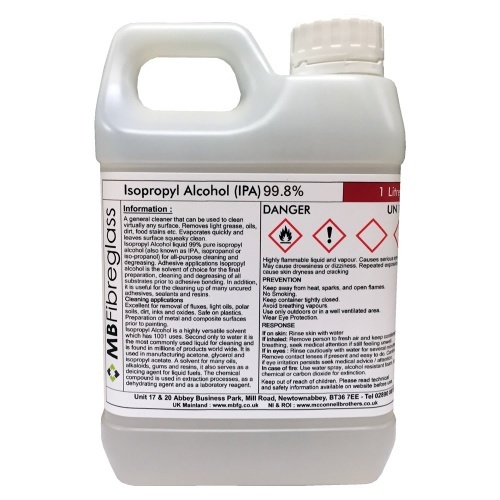 Isopropyl Alcohol is a highly versatile solvent which has 1001 uses. Second only to water it is the most commonly used liquid for cleaning and is found in millions of products world wide. It is used in manufacturing acetone, glycerol and isopropyl acetate. A solvent for many oils, alkaloids, gums and resins, it also serves as a deicing agent for liquid fuels. The chemical compound is used in extraction processes, as a dehydrating agent and as a laboratory reagent. IPA is a highly flammable material, care must be taken when storing and using this material, please read the technical data sheet and safety data sheet for further information.